UPDATE: The project team is finalizing the project’s purpose and need, and welcomes your input. 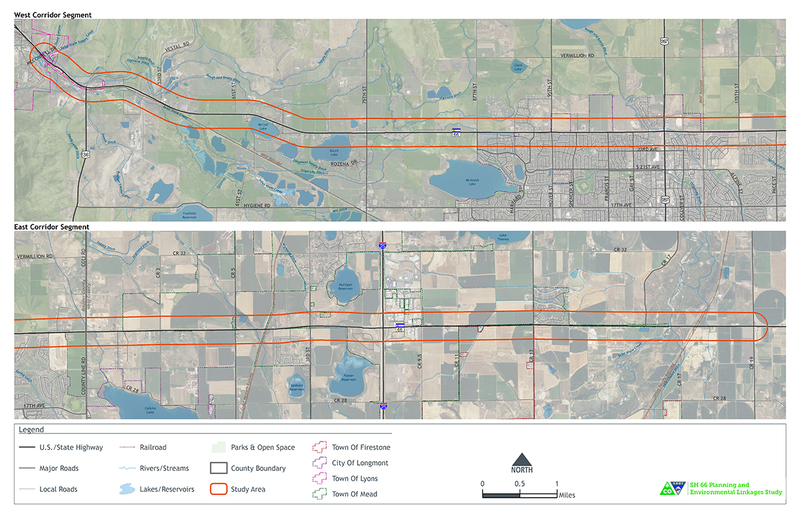 The Colorado Department of Transportation is conducting a Planning and Environmental Linkages (PEL) study of the Colorado Highway 66 corridor, from McConnell Drive in Lyons to Weld County Road 19. The study team will identify the needs along CO 66 and develop a strategic, long-term vision for the corridor. Planning and environmental linkages (PEL) is an approach to transportation decision-making that considers environmental, community, and economic goals, and potential impacts early in the planning process to inform the subsequent project development, design, and construction phases. Reduces delays in project implementation.